ottawa baha’i youth slang glossary | doberman pizza. Welcome. This glossary describes some of the slang, in-jokes and obscure references used among the Bahá’í youth community of the Ottawa region. 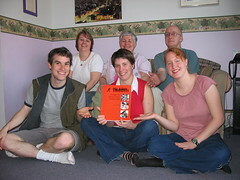 A large part of it developed around the activities of the Campus Association for Bahá’í Studies (CABS) at Carleton University and the University of Ottawa. You may wish to read an introduction to the Bahá’í Faith before you start. It may help you to understand some things. 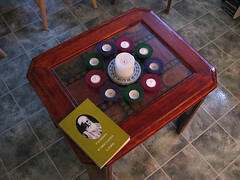 Certain Bahá’í terms have been included here for convenience. 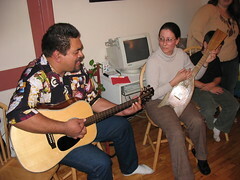 Bahá’í communities are generally quite diverse, and the Ottawa Bahá’í youth are no exception. Members have come from such places as Cameroon, Gabon, Nigeria, Iran, Iraq, the United States, and all around Canada, speaking English, French, Arabic, Persian, and who knows what else. As such, our slang is quite a patchwork. I hope you enjoy learning about it as much as we enjoy making it up. slurred pronunciation of “all right”. note that popular usage of this term allows a female to be called an alpha-male. the term “alpha-female” is generally not used in the same context, but technically could be. an interjection that is best used when the subject never had anything to say in the first place. “Man, I’m tired.” “And then?” this term comes from the movie Dude, Where’s My Car? The Break-Down of Society. in the long run, what most of the world’s troubles can be attributed to. used in a variation of the well-known game Six Degrees of Kevin Bacon; the challenge here is to link anything (say, flowers) to the Break-Down of Society using the fewest links possible. similar to ‘oh well’, or ‘que sera sera’. an expression of detached disappointment, implying that life will go on. resulting from the fusion of ben well and tings like dat. an interjection equivalent to a shrug, like ‘oh well’. ‘ben’ is pronounced as in quebec french, with the ‘en’ sounding like a nasal ‘eh’. interestingly, a rough translation of ‘ben’ would be ‘well’. See ben de tings. CARDevotionals are a particular form of devotional meeting that mixes prayer and devotion with fun, food, games, and general hilarity. appeals particularly to youth. see devotional meeting. a favourite game for late-night amusement among the CABS crew, often giving rise to much hilarity and/or confusion. See scrouge, Maduate (The). classes that provide spiritual and moral education to children – usually from ages 5 to 11. along with study circles and devotional meetings, one of the three main core activities. relax, hang out, enjoy oneself with little pressure or distraction to ruin the mood. “We’re just chilling and listening to phat beats… want to come over?” also used as an adjective to describe someone who has an even temperament and goes with the flow of life. “He’s pretty chill, he never seems to even get angry.” Also taken to mean ‘calm down’ or ‘settle down’, especially when addressing or describing someone who is visibly emotional. “Dude, you’re yelling… chill out!” See chill out, chillax. a series of photos which, when taken in sequence, simulate some sort of movement or action. activities that make up the core of Baha’i Community life worldwide. there are four generally recognized core activities: devotional meetings, study circles, junior youth groups and children’s classes. other common parts of Baha’i Community life include reflection meetings, firesides, and the 19-day Feast. an exclamation used in the presence of someone who is prone to act erratically or in an extreme fashion (i.e. jumping on people’s backs). this usage may have evolved as a warning to others to get out of said person’s way. see j-u-m-p.
a meeting held for the purpose of deepening one’s understanding of something, generally the Writings of the Bahá’í Faith. today, deepening meetings have largely been replaced by study circles. contraction of ben de tings. a prayer meeting open to all faiths. ‘devotional’ comes from the concept that regular prayer is part of devotion to God. along with study circles and children’s classes, one of the three main core activities. foolish, lame or witless person. “He tried to ram a jeep into the Parliament buildings — what a dink!” also used in adjective form, like e. “Yeah, that guy’s super-dink.” may unwittingly have been derived from a racial slur coined during the Vietnam War; however, the term has lost this connotation through use. Don’t Trust Anyone. 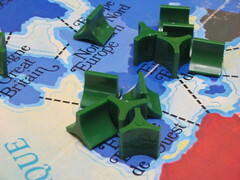 the first rule of playing Risk. a fast-paced card game played with one deck per player. each player starts with a hand drawn from his or her deck, and several cards are drawn into the middle to serve as foundation piles. the object of the game is to get rid of all one’s cards by placing them one by one on the top card in one of the foundation piles. the card placed must be one higher in rank/number (or, in the case of a king, an ace) than the card it is placed upon. usually results in a mess. this term was originally a contraction of e-shorts. when it was first invented it originally meant ‘good’, much like wack. it passed through a phase of mixed use as ‘good’ or ‘bad’, but finally settled on the ‘bad’ usage. See you’re e, yuri pachenkov, e-shorts. a guy from PNG who wears funny-looking shorts. unwittingly launched the e phenomenon. it’s a long story. one of three imaginary people who usually hang out with you. elpedia is female. See yuri pachenkov, rand mcnally. a term used during conversation when one has nothing else to add, or has no arguments against another’s discourse. usually invites the other to continue. from “fair enough”. refers to the 19-day Feast, a regular meeting of Bahá’ís consisting of prayer, consultation and socializing (and food!) The 19-day Feast is one of the basic elements of Bahá’í community life, as it provides all Bahá’ís with the opportunity to meet together on a regular basis and to give their input on the administrative affairs of the Faith. a friendly encounter in someone’s home, for the purpose of introducing someone to the Bahá’í Faith. comes from Franklin D. Roosevelt’s “fireside chats” — presidential addresses made more intimate and accessible by holding them in his home, by the fire. cool, attractive, together. someone you’d like to be around. calling someone fly is a compliment and, between sexes, may indicate that the speaker is j over the subject. “You’re pretty fly for a white guy.” “Man, that girl at the bead store was real fly.” contrast with e.
An augmentative adjective, used for emphasis. Often used as a substitute for the F-word. Popular usage of this term often refers to the series of university-level courses developed by FUNDAEC and used as a form of distance education to promote the development of intellectual and spiritual characteristics needed for effective social action. These courses often take the form of study circles. a popular multiplayer video game involving blowing people up with a wide variety of interesting weapons, including machine guns, rocket launchers, grenades, and tanks. a nice way to end a night of hanging out (although the enjoyment to be had by playing is a matter of taste). see j-lo. a familiar name given to a popular venue for Baha’i events in Ottawa, known as “Harmony Gardens”. see playing the Hatcher card. said jokingly of someone who makes a ruckus while you’re trying to talk to someone or go somewhere, the implication perhaps being that they will get straightened out. The subject must be making said ruckus in public. “Hey, that street preacher’s pretty loud.” “Yeah, he’s coming to the deepening later.” deepening can be replaced by devotional meeting, study circle, fireside, meeting or whatever else. head out, leave. Sometimes pronounced ‘heed’. “I’m gonna head, I’ll see you later.” See peace, peace out. persian for “animal”. Used jokingly between friends; to be heyvoon (or to be a heyvoon) is to be uncouth, grotesque, wild, licentious. Particularly used to describe someone eating in a rapid, messy or rude way. “heyvooning” is also said to indicate the act of being heyvoon. compare with sauvage. WARNING: Absolutely NOT for use in any sort of polite conversation with persians, as the term is very offensive. literally, “holler” or “shout”. used as a greeting in the sense of “shout greetings at me”; usage sometimes reflects this sense literally, as in “holla back at your boy!”, where the listener is invited to shout greetings back to the speaker. see sup. outdo, outperform, or outwit; sometimes used after a particularly stinging insult or a spectacular victory over an opponent. “Man, checkmate in four moves! He just housed you!” “Dude, he called you an invertebrate. You got housed.” Pronounced with a ‘z’ sound. the process of bringing a community closer to the message of Bahá’u’lláh through investigation and consultation on the Bahá’í Writings. generally this is done through courses based on the Writings, offered by an institute (such as the Ruhi Institute in Colombia, whose courses are adapted and used by the Canadian Bahá’í community), and through service based on those courses. see study circle. pronounced “ee-way”. a vocative particle – equivalent to “yo” – which enjoys popular use in Zambia. j-lo plays halo. she’ll beat you to a pulp, too. when you want quality, go to Jadeland. Jadeland is the current favourite of the Carleton CABS. Located in Ottawa’s Chinatown at 625 Somerset St. West, it’s a Szechuan/Cantonese restaurant that always seems to be busy – probably because the food is so good. “dear” in persian. usually suffixed to someone’s name to indicate familiarity and affection. “Elhamjoon, is the tea ready?” equivalent to jan.
“my dear” in persian. see joon. the act of jumping on something (or, as is most often the case, someone). young adolescents between the ages of 12 and 14. youth in this age group are granted particular importance in the Baha’i community, falling as they do just before the “age of maturity” as defined by Baha’u’llah (15), by which time advanced mental, emotional and spiritual faculties are developed. junior youth are the focus of one of the core activities. persian for “lady”, but functionally equivalent to english “Ms.”: can be appended to a woman’s given name or family name and used as a form of address, e.g. “Diba Khanoom”. Spelled “Khanum” under Shoghi Effendi’s transliteration system. an area just south of Ottawa University best known for the five apartment buildings jutting out from it. due to its proximity to the University and its easy accessibility from Highway 417 and from public transport, it has become both a popular place to live and a good gathering place for various events. a misspelling of the movie title “The Graduate” that caused unbridled consternation and insanity. proof that staying up past 3 AM playing charades is a bad idea. see also scrouge. 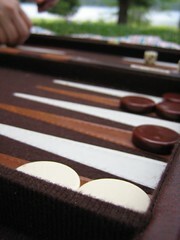 persian for ‘gammon’, or the act of bringing all one’s backgammon tokens into the home rack while the opposing player has yet to bring any tokens home — a shut-out. Being ‘marsed’, or losing to an opponent in this way, is a particularly humiliating occurrence. “Darn it! Marsed again!” pronounced with an ‘s’ sound, not a ‘z’ sound. see takhteh. In 1990, Tom Green hosted a rap show on Ottawa’s CHUO radio station. It was appropriately called Rap Show. In 1993 he renamed the show to “The Midnight Caller”, and changed its vocation to a call-in, talk/comedy show. The show had quite a cult following in Ottawa. People would call in to discuss different subjects Tom had chosen, or simply to talk about something else (that resulted in a lot of people being hung-up on, and a lot of absolute nonsense). One of the very cool things he used to do is organize late night soccer games on Parliament Hill (at 2AM! ); try doing that at the White House. good, favourable. when said of people, indicates admiration of the subject’s dependability, skill, generosity, or general virtue. “Man, you really pulled us through on that assignment — you’re money.” “This apartment is money!” See phat. when it’s too late for anything else, go to nickels. a diner-style restaurant once located at the corner of Dalhousie and George St. in Ottawa. nickels was part of a chain owned by Canadian pop diva Céline Dion, so there were big pictures of her at the door, but all in all it wasn’t too bad. they stayed open 24 hours, serving decent food and impressive desserts. nothing, or nothing of importance. refers to the low value of non-face cards in certain card games. 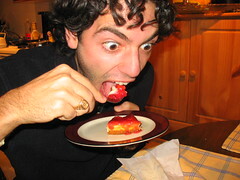 a round of pizza dough filled with cheese, sauce and other toppings, folded over and sealed, and deep-fried or baked. basically a folded-over pizza, similar to a pizza pocket (or a calzone, except that a panzerotti has no holes in it). it is not, as some have commented, italian food made out of panzer tanks. A way of saying farewell. equivalent to peace. Also used like head, as in “I’m gonna peace out, I’ll see you later.” see head, peace, peace to you. equivalent to ‘get out of here’, with a shade of you’re e. probably similar to ‘nuts to you’. where peace can be used to dismiss an idea or proposition, peace to you can be used to dismiss a person (although in a somewhat insulting way). See peace, you’re e.
pretty nasty term. probably from the french “pédéraste”. I’ll let you figure it out. child of persian parents who grew up in an anglophone environment, but still has a functional knowledge of Farsi. the world’s most perfect workshop topic. good, pleasing, impressive. often said of funky music with a good beat. “We’ve got some phat beats playing right now.” “Your new car’s pretty phat.” See money. Also used as an augmentative adjective without good or bad connotations, e.g. “I got a phat F on my assignment” or “We got phat rained on”. See freakin. inviting a well-known and well-respected speaker to give a one-off lecture in order to boost the public image of a campus club is called “playing the Hatcher card”. A reference to one of the most popular academic Baha’i speakers, William S. Hatcher, founder of the Minimalist school of philosophy. can also be adapted to other popular speakers, (e.g. : “playing the _______ card”). a dish composed of french fries topped with cheese curds and gravy. it’s a Quebec import, and it’s actually quite good (although not good for you). one of three imaginary people who usually hang out with you. See yuri pachenkov, elpedia carrera. the movie Reservoir Dogs. rd may be e, depending on how you look at it. there are three major elements necessary in any cycle of development: consultation (consult on what to do next), action (do it) and reflection (reflect on how well it worked). reflection meetings are the main venue for the latter in the Baha’i Community, giving all members a chance to reflect together on how the life, development and growth of their community is progressing. they are generally regular gatherings at which guidance is studied, and individuals share experiences and lessons learned with the intention of discovering the best way to proceed. a variant of the card game Hearts, similar to shalem. certain variations in the rules of play distinguish it from “classic” shalem. for a change of scenery, go to the Royal Thai. a Thai restaurant at the corner of Dalhousie and Murray St. in Ottawa. closes at 10:30 pm all week. it’s good, and it’s pretty cheap. persian for ‘of the spirit’ (and not ‘lion’ as some may claim). when Bahá’ís say ‘Ruhi’, they generally mean the sequence of courses offered by the Ruhi Institute in Colombia. these courses are offered as part of a dynamic curriculum meant to build skills of service, which, in turn, can be used to build a community. the courses involve examination of and interaction with the writings of the Bahá’í Faith, so as to understand their meaning and apply them to the real world. See institute process, study circle. a plush frog thrown around a circle, where the person to catch the frog must recite a quotation or answer a question. can be any plush toy; for example, “ruhi-the-pooh”. this practice adapts itself well to study circles. 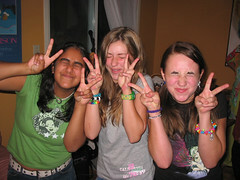 See ruhi. french for “wild”. Used to indicate something socially, morally or ethically unacceptable. “He’s eating spaghetti with his hands — that’s sauvage!” compare with heyvoon. a negative response, equivalent to “no”. often accompanied by a scissor-like gesture with two fingers of one hand. see peace, peace to you. pronounced with a short o sound, as in “hour”. a neologism whose meaning is still evolving, although it bears resemblance to jacked. the term arose from a disastrous game of charades in which a misspelled movie title gave rise to intractable confusion. the term is thus usually accompanied by inexplicable hand gestures. see charades, Maduate (The). pronounced “shuh-LEM”, accent on the second syllable. 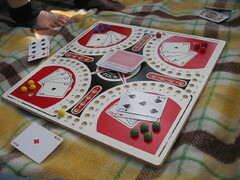 A persian variant of the card game Hearts. Differences include point values for certain cards, betting, strategy, and more. The rules are fairly simple, and make for an interesting and (for many) captivating game. see roake. slurred pronunciation of ‘sure enough’. See aaight. a section of a website devoted to personal messages between friends. derived from the term shout out. to honour someone by mentioning their name in a public forum. plural can be either ‘shouts out’ or ‘shout-outs’. “I’d like to give shouts out to my Montreal crew…” see shoutbox. 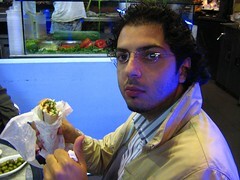 corruption of shawarma. also pronounced ‘shawalla’. the classic venue for CABS activities. CABS workshops, potlucks and devotionals have been held in various places over the years, but no other place on the University of Ottawa campus has hosted more CABS activities (since the mid-nineties, anyway) than SMD 123.
beating, usually imaginary. “I’m gonna lay the smackdown on him once he gets in.” from WWF Smackdown, a weekly wrestling show. 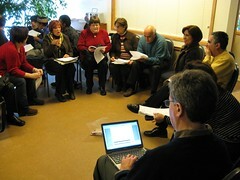 a group that meets regularly to study something, generally a workbook. in the Bahá’í Faith, study circles are usually a part of the institute process, and combine study of the text at hand with acts of service and community development. see institute process, ruhi, FUNDAEC. along with devotional meetings and children’s classes, one of the three main core activities. used as a prefix to an adjective to indicate emphasis. for example, to be super-e is to be exceptionally e. to be super-fly is to be exceptionally fly. and so on. settle down, chill out. also used as a synonym for peace. “I’ve got to go now. Take it easy.” “Hey, take it easy with that bullhorn!” sometimes slurred as “take it eaze”. “Thank God” spoken with a Persian accent. a way of thanking the crowd (even a crowd of none) at the end of a performance, ovation, careless blunder, or even upon entering a room after having a particularly good day. meant to sound like elvis, but not an impersonation (ie. no deep elvis voice). Iran. actually used by some persians. this usage arises because in Farsi (as in Arabic), certain countries are preceded with “Al”, which is the definite article, or “the” in english. So “Al-Iran” (“the Iran”), not just “Iran”. Sudan, Iraq, and several other countries take the definite article in this way. Compare this to “The Congo” (what is now Zaire). something you are if you’ve done something real good. “Double chocolate donuts? You’re the man!” See money. used in a sentence similarly to ‘and so on’. the term is derived from ‘things like that’, but spoken in a francophone accent. “So we went to Quebec City and saw the Parliament and the Château Frontenac, and tings like dat.” See ben de tings. pronounced “tuck”, short u sound. A traditional game widely played in Quebec, the game of Tock is simple to learn, yet can be quite addictive and devastatingly brutal to play. 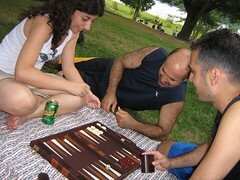 The goal of the game is to be the first to move one’s pieces around the board into one’s home court, using playing cards to advance and perform several types of special moves. Naturally conducive to trash talk, much like risk. self-assured, lacking internal conflict, collected, in the flow of life, implicitly confident in one’s ability to weather difficulties. if you keep it real, you generally end up being together. “Yeah, he always knows where he’s going. He’s really together, you know?” see keep it real. belligerent posturing, bluffing and boastfulness. meant to discourage one’s opponent, especially in Risk, shalem or tock. trash talk is especially humorous when playing games not expected to contain trash talk, such as chess, tiddlywinks or dutch blitz. contraction of “what’s up?”. used as a greeting among close friends. can be followed by any number of interchangeable words for effect: “yo”, “man”, “dawg” (or “dogg”), etc. see holla, sup. an interjection of disbelief, confusion or consternation. “Hey, we’re going to go run your car into the canal.” “What the?! ?” sometimes followed by you’re e.
a regular CABS event at which a speaker presents a topic and discussion ensues (or a lecture ensues, depending on the speaker). topics are broad, but always have some sort of connection with the Bahá’í Faith and/or its principles. often, such workshops stem from the work of individual members in their own field; theses and term papers are sometimes presented in workshops. you’re lame, not worth talking to or hanging around with. among friends, a term of endearment and playful reproach. best used if delivered deadpan. best not said to people who aren’t friends. 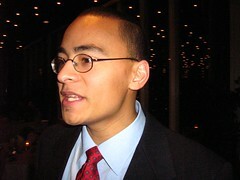 See e, yuri pachenkov. one of three imaginary people who usually hang out with you. ‘yuri’ is a corruption of you’re e. See elpedia carrera, rand mcnally. when in doubt, go to Zak’s. 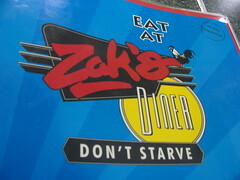 Zak’s is a recent favourite of the Ottawa CABS. It’s a 50’s-style diner at 16 Byward Market Square, not far from the Empire Grill and the Blue Cactus, that serves standard diner fare (burgers, sandwiches, poutine, and so on) and is well-known for its excellent milkshakes.